Parking: Car parking available to the rear of the clinic. This practice is situated close to the centre of Ashbourne (just off Derby Road, on the Airfield Industrial Estate). 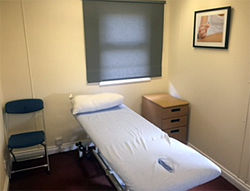 The clinic offers two treatment rooms and a comfortable reception area while you wait to be seen by the physiotherapist. There is plenty of off street parking to the rear of the building (between the hours of 9am and 5pm) and on street parking as well, to the front of the building. The clinic is easy to find – from Ashbourne, head south on Derby Road and turn left into the industrial estate which is clearly signposted. 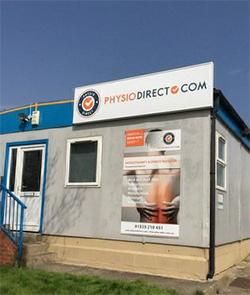 The practice is situated at the entrance of the industrial estate, next to Lumbards Service Centre.